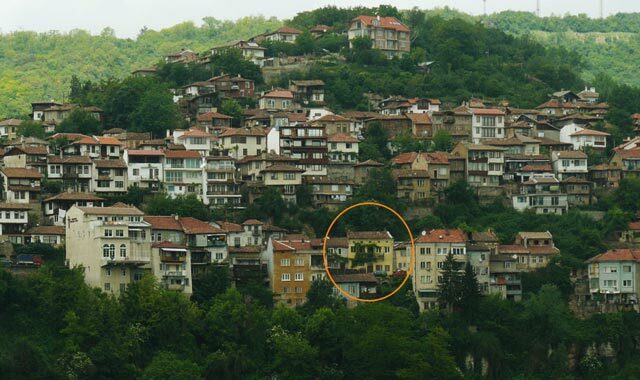 Travellers, who visit Veliko Tarnovo and stop to have a delicious lunch in the small, but attractive village of Arbanassi, always taste the savoury dishes of aunt Yana. Everyone feels at home in the comfortable and colourful house of the Legkostups, even if they are foreigners. They make them welcome, invite them to see the house full of woodcarving, paintings, knitting and folk-style objects and offer them to have lunch in the big table under the shed. Aunt Yana, who is an exceptional housekeeper and cook, prepares for her guests the most delicious Bulgarian meals - moussaka, Arbanassi hotch-potch, stuffed peppers, fried courgettes, battered fish, shopska salad, tripe soup, banitsa, qaddaif, small round loaf. In her menu there is always home-made rakia (Bulgarian strong brandy) and wine. Every group of tourists can choose the dishes for the lunch, which are offered in the appropriate manner. “Every nation has their preferences. For example, Spanish don not eat cucumbers, Japanese don not taste cheese, even though they love yoghourt. Americans like most of all hotch-potch and stuffed peppers. They have a bite and a drink, take a rest and set off on their journey again. It is a pleasure to meet them. They feel nice to learn about Bulgaria with our lifestyle, culture and history. Foreigners are always surprised and amazed by our country. They can see that the facts are different from the things they have heard about us. They would like to see and touch everything, to enter the garden and to pick spring onions, garlic, a bunch of parsley. They are pleased with everything and love home-made things”, tells about her impressions aunt Yana, who has met ans seen off tourists for more than five years. Making yoghour, the favourite dish of Japanes, has become a new attraction for foreigners in the village of Arbanassi for the late two years. That is why in the timetable of the Municipal Tourist Agency in Veliko Tarnovo is also included making yogurt as the guests from the country of the rising sun call it. The housekeeper buys milk, warm it up, prepares the yeast, which is the well-known bacterium called “bacillus bulgaricus”, and gives to everyone a spoon to stir up the white liquid. After an hour аnd a half staying at a warm place it turns into a lovely Bulgarian yoghourt. Happy and spell-bound that they have tried to deal with this piece of cake before setting off they have with pleasure banitsa and this loved milk product. Then they put in a jar yoghourt yeast and bring it to Japan, pleased that they have taken away to their homes something real from Bulgaria. It is interesting that Japanese eat everything with yoghourt, they even prepare sweets with yoghourt, but they do not taste cheese.